When you have large amount of data in your worksheet and you can’t analyze or sort the data then Pivot Table helps you to carry out the task easily and more conveniently. 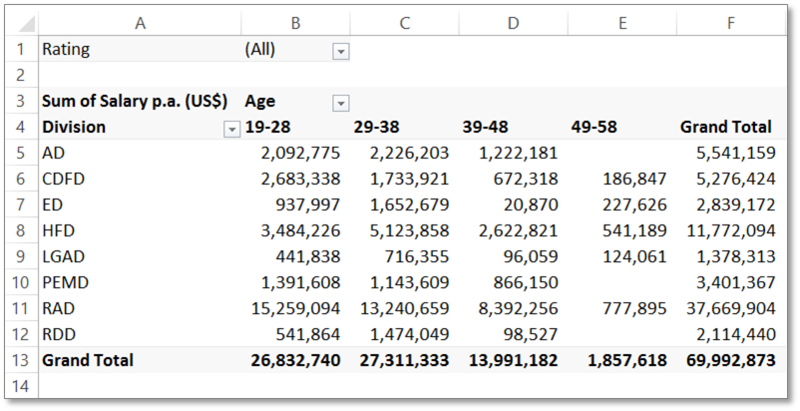 Pivot Tables are powerful functions in excel. To know how powerful Pivot Table can be let’s go through the details step by step. 👉 What is Pivot Table? In just few clicks, you can represent your data in charts, tabular and more presentable form using Pivot Table. It can sort all your relevant data into respective columns and rows, into charts. It can even highlight key words or important points within few clicks and can save your valuable time. 👉 Why Table for a Pivot Tables? 5. Drill-down your data: You can drill down your data very easily at a time. 👉 How to Quickly Create a Pivot Table in 30 Seconds? 1. Your data should be in tabular form. 2. The data in the column should be same. Text and number should not be in the same column. 3. No column or row should be left empty. The same was while we do Autosum. 4. First row should contain unique, short heading. 5. It should provide details of similar records. For example, if sales is the head then it should include data relating to sales and not purchase. After you do this and have your data ready in the form prescribed above you can now create Pivot Table in less than 30 Seconds. let us see how we can create a pivot table using data set of 300 rows. Step 1: Select any cell from your data set, also you can press Excel Shortcut key Ctrl + A. Step 2: From the Insert Tab in the ribbon click on the Pivot Table option. Step 3: A dialogue box gets open that enables you to select the data. It by default chooses a new worksheet to store the Pivot Table. Step 4: Click on OK and right click on Pivot Table and select Pivot Table options. Step 5: Click on the display button and enable classic Pivot Table layout option. 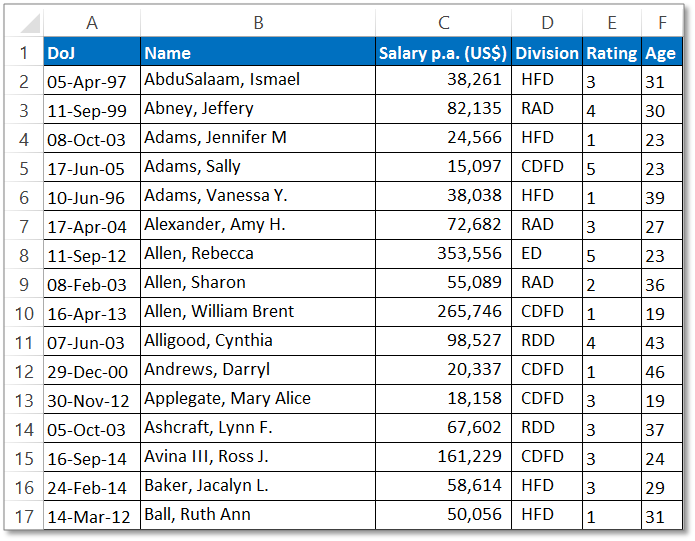 Step 6: Now just drag the Rating column from Pivot Table fields window into the Row field and Salary p.a. (US$) column into the Value field. 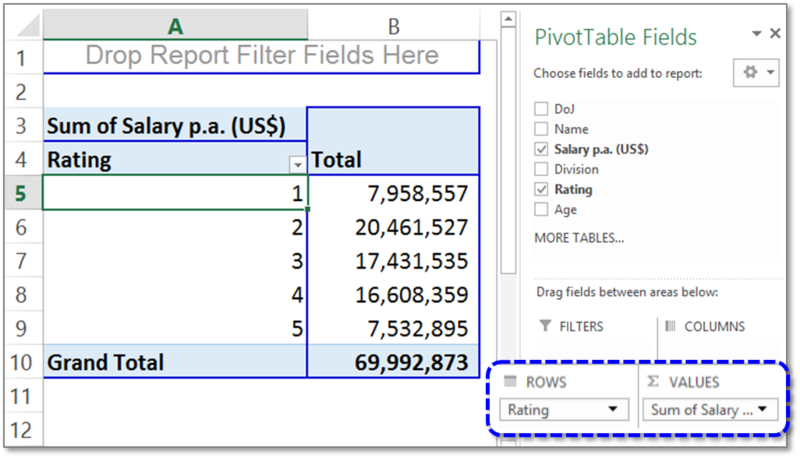 👉 What is Recommended Pivot Table? Many people believe that creating a Pivot Table is a long, complicated and time consuming process. However, you are wrong if you think so. Pivot Tables will save a lot of time that you will use while creating table manually. It is faster and more flexible. If you have less knowledge about Pivot Tables then you can use the Recommended Pivot Table. This table will recommend you on the basis of your data collected. You can arrange the data, add new fields to the data, explore different orientation and many more. All this will be explained as you go through this tutorial. 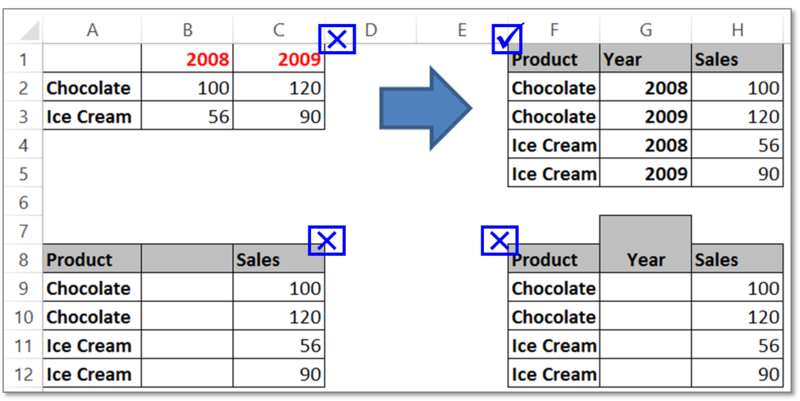 For creating Recommended Pivot Table, follow the below steps. Step 3: It provides you with various options. Here we are selecting Sum of Salary p.a by Rating option. The same you can achieve it manually without using the Recommended Pivot Table option. learn How to create a Pivot table Manually? 👉 How to refresh Data in Pivot Table? TYPE 3: Right click on the Pivot Table and select Refresh option. The Pivot Table shown in below picture is created for 296 employees and suddenly a new employee joins the firm. In such case, no need to create the table again. 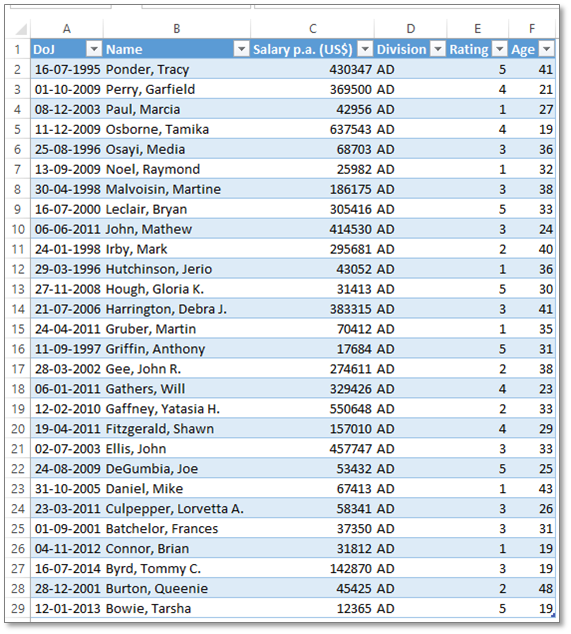 Just add the details of the new employee in your data table and Refresh the Pivot Table as explained above. This will update the Pivot Table automatically. 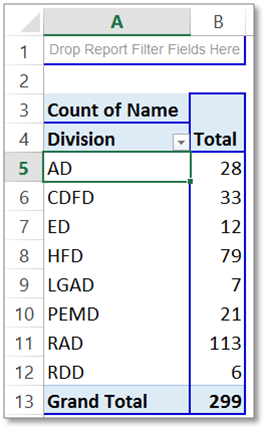 👉 How to Drill Down into a Pivot Table? When you create a Pivot table, it reorganizes and summarizes the selected columns and rows of data. This lets you see a total displayed in a Pivot Table. You can easily Drill Down to visualize and extract the data that makes up the total in the Pivot Table. 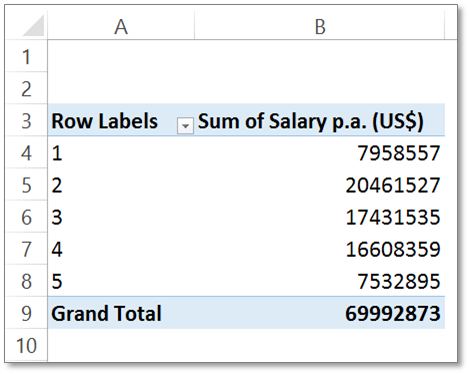 To Drill Down, simply double-click on the number and Excel will add a new sheet to your workbook that contains the data used for calculation. Here, we have a Pivot Table showing the Division and number of Employees working in that Division. To view the details of employees for each Division, use the Drill Down method. As shown in the picture below, 28 employees work in Division AD. If we want to view the details of those 28 Employees who work in Division AD, then just double click on the cell containing number 28 and a new sheet will get open with all the details of those 28 employees. Likewise, you can view the details of different employees also working in other divisions. 👉 How to add fields to your Pivot Table? 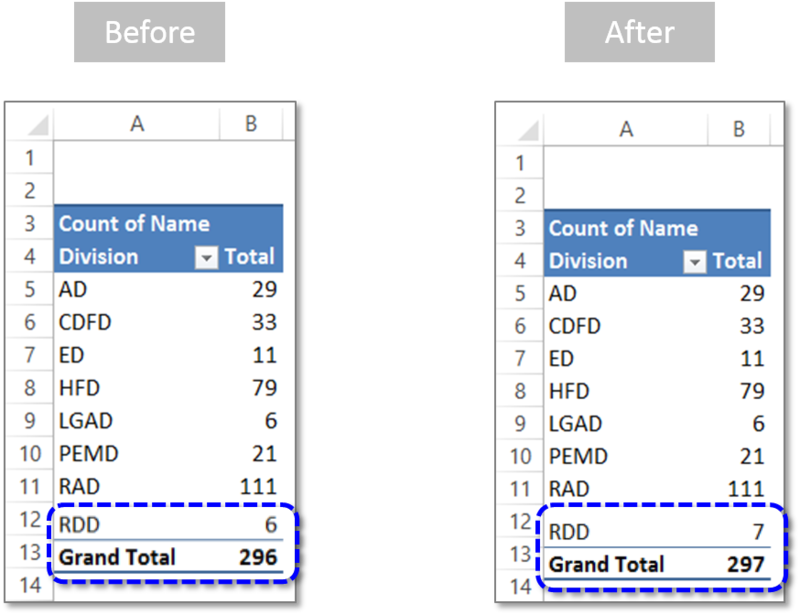 Sometimes, it may happen that you want to add a new field into the Pivot Table after you have created a Pivot Table. In such cases, you can add fields in the Pivot Table very easily. >> This Pivot Table gives you the information about total salary drawn by the employees from each division between the age group of 19-28, 29-38 and so on. You can also filter the Rating column for deep details.